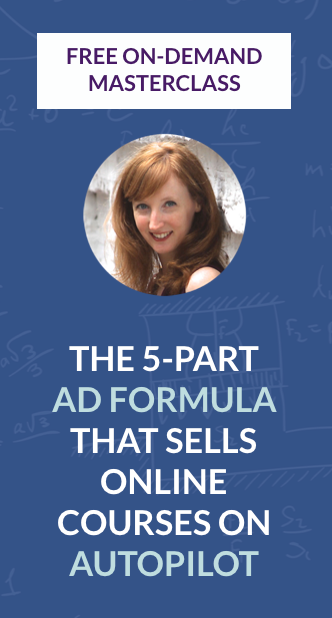 How Much Money Can a Facebook Ad Consultant Actually Make? I know it, and you know it. 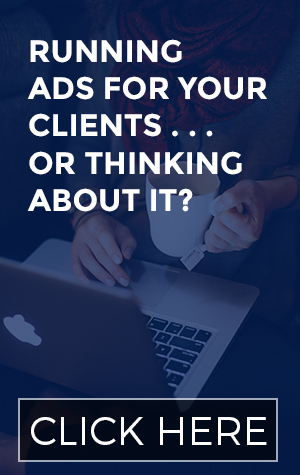 This is the one question that you HAVE to be asking yourself if you’re thinking about joining the Ad Consultant Incubator training program this month. Ready to start making more money while working with fewer (and better) clients? Click here to enroll. Still on the fence? Not sure if it’s the right investment for your business right now? Click here to book a 20 minute Skype call with me. Hard pitches are NOT my thing, since I really do want to work with people are who the perfect fit. You’ll tell me about what’s going on in your world right now and what your goals are, and I’ll let you know if I think you’ll really benefit from this kind of training. Hey guys, this is Claire Pelletreau from clairepells.com. In the last video, I gave you a sense of what a day in the life of a Facebook ad consultant is, how much time it actually take, and the different things that you might be doing when you’re not actually putting together campaigns, etc. As you probably saw, it just doesn’t take that much time out of your day, at all. It’s very possible to take on a pretty large number of clients at the same time, and really be bringing in more revenue for your business. That’s what I want to talk about in today’s video: just how much money you can conceivably make running ads for other people. Let’s start on the lower end. Let’s say that you are just getting your feet wet, and you’re building up your confidence, and you also want to get testimonials to be able to put on your site, and therefore charge higher rates. Let’s say you start at $400 to $500 per campaign. That might be for a launch, or it might be for a 2 to 4-week arrangement with your client where you’re working with them on their ads. That is a low rate, because remember you have the possibility to make these people a lot of money. When you’ve got a great sales funnel, if your client has already proven that something works really well, then all you need to be doing is funneling more people into that sales process, and then they’re going to make more sales. I would say a very low end, $400 to $500 for a short campaign. Then, let’s say you’ve got a little more experience or you can see that the project is going to take a lot more time. It’s got a lot more moving pieces, or you’re adding more value by doing more than just the Facebook ad setup. Maybe you’re helping to review their landing page, or you’re A/B testing, which is a great way to make a very simple setup, something very simple, and get to charge more for it, because you’re giving your client a ton of information with the split test, and hopefully getting them better results. That’s where I would be charging in the $800 to $1,000 range for sure. Some clients aren’t going to be in a position to pay for that, but again, the ones who have higher price point products, they definitely understand with X conversion rate, 2% or 3%, then they’re going to be able to take all of the leads that you’re bringing in, and convert a really good number of them. That’s $800 to $1000. Really, when you’re talking about big launches, and those launches are the times where people definitely want to hire out the Facebook Ad Campaign piece, because they know that it’s crucial for these big numbers that they’re hoping for, but it’s a lot of moving pieces, more plates in the air, that they don’t want to deal with. They’re happy to look at potential revenue of $50,000 to $100,000 from a launch, and say, “Yeah, I can pay somebody $2,000 to run my ads,” and then spend $10,000, that’s a great ROI. If you are putting together a number of clients on different packages, different rates, you can really see how it adds up quickly. Let’s say you have a couple of projects in a month that are $1000 each, and then you’ve got one bigger project, which is going to last more than a month, but it’s double, it’s $2,000 for example. You can see right there that, that’s about $4000 in a month for three Facebook Ad clients. Like I said, you might start lower, but that’s okay too, because when you’re doing simpler campaigns that definitely have lower stakes, you could have four or six different clients going for $500 a pop, so that’s $2000 to $3000 right there that you’re bringing in. That’s a great starting point for any Facebook Ad Consultant. You might be doing other work on the side, VA stuff, or other marketing. You may have much bigger packages, because you’re doing the organic social media stuff. Maybe you’re doing some content marketing for them and adding Facebook Ads on top of that, so that might be a $500 or $1000 upgrade on their existing package. It’s really easy to just take in a few clients, when you’re at those higher rates, start bringing in a lot of money. Then, in order to scale that, you can either raise your rates, take on more clients, because like you saw in the last video, or if you haven’t checked that out yet, go visit clairepells.com/dayinthelife, and really see just how little time it takes. Then you’ll understand you can actually take on a lot of clients. If you want to hire somebody to help you manage some of those other campaigns, or to keep you organized, or even just in the monitoring, you can, without spending too much of the revenue that you’re bringing in. I hope that makes some sense. 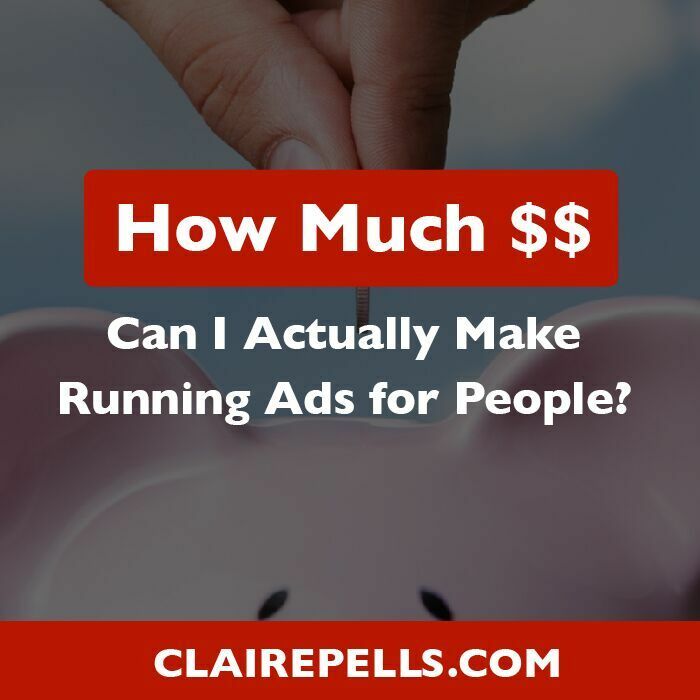 I hope it actually gets you a little bit more excited about running ads for other people, because I know that that it can feel like it’s a big step to start spending other people’s money, but the benefits are really huge. It can help you go from working with a ton of clients, lots of people who you don’t really vibe with, or they’re really demanding, or you’re charging low rates, you can replace them, slowly but surely, with Facebook Ad Consultant clients who understand your value, because you are really responsible for bringing them more traffic, bringing more eyeballs over to their site, and who are happy to pay you for those services. If this sounds interesting for you, I would love it if you would come and check out the Ad Consultant Incubator. It is a 6 week program that’s kicking off on January 18th. We’re a really small group, and I’m going to be taking you through the entire process of talking to clients, helping them decide on a strategy, writing the proposal, actually making the sale, landing the client, and then really going through the process of putting together the ad campaigns. The optimization, the reporting, all of that stuff. I’m going to have my eyes on your clients’ ads, so there is no real risk, if you aren’t sure if you want to take on somebody’s project, because you’re afraid you’re not going to be able to get them results, you’re going to have me right there on your shoulder, just helping you along the whole way. Come check that out over at clairepells.com/adconsultantincubator. If you aren’t sure if you’re really a good fit, you can jump on the phone with me on Skype for just 20 minutes. I would love to talk to you, to see what you’re up to in your business, and to figure out if this really is a good fit for you, or if maybe you’re too advanced, or maybe too much of a beginner for this round, and it might work out better for another round. I promise, there’s no hard sales pitch in that call, because I really want to work with people who are definitely going to take this investment, and then turn it around and make that money back, and make more and more, in the rest of 2016. Thank you so much for watching. I will talk to you soon!